At this year’s Arnold Expo, I had the pleasure of meeting Kyle Hunt of Hunt Fitness. He’s a long-time Jack3d user, personal trainer, and all-around awesome internet personality, so it was time to have him on the Success Series! I talk a lot about passion because without passion nothing else really matters. Fitness is not only my business but what I truly enjoy doing. There is nothing better than being a part of changing a client’s life! This can be one of the most rewarding professions out there. I have always been an active individual. I played sports from a young age right up until high school. Getting into the fitness industry was a natural transition for me. 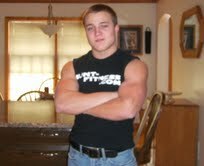 As a wrestler in high school I always enjoyed the training aspect of the sport. When everyone else was complaining about the conditioning I was going to the gym after to do some more! While I was in high school most of my class mates knew I was very knowledgeable on working out so I used to get asked for workout advice all the time. Shortly thereafter I started working as a personal trainer at a local gym. After working as a personal trainer in a gym setting for a while I decided to create my own business. Through Hunt Fitness I offer online nutrition and training coaching where I have worked with clients from all over the world! I first tried Jack3d a few years back when it first exploded onto the supplement scene. A lot of my buddies in the gym were raving about the intense focus and energy they were getting in the gym; I had to find out for myself. Up until that point I was never a huge fan of pre workout supplements so I was a bit skeptical. Every pre workout product I tried always left me with an upset stomach and jitters. 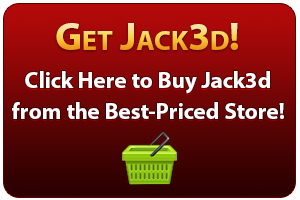 Once I finally broke down and tried Jack3d for the first time it was unlike anything I had ever tried before. Like my buddies said, the energy and focus was INTENSE! It literally changed the way I thought about pre workout products. While they are certainly not a necessary supplement, who wouldn’t want to include a product that can lead to better workouts? More insane training leads to more insane growth! My current goals are to continue to improve in every way that I possibly can. I want to keep working hard to grow Hunt Fitness into a leader in the fitness industry. 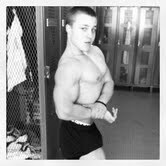 As for my physique, just like everyone else I want to continue to get stronger and build more muscle! To me this is a lifestyle. My current supplement stack is centered on MTS Machine Whey Protein. It tastes great and helps me meet my daily protein requirements. I rotate the pre workout products I use but I recommend a concentrated blend similar to Jack3d! Other supplements I take are Fish Oils, BCAAs and a daily multivitamin. Fish oils have numerous benefits including reducing inflammation in the body, promoting heart health, improving joint health, etc. Branch Chain Amino Acids are great to take during training. The amino acid Leucine which is a BCAA is instrumental in maximizing protein synthesis. Taking a multivitamin is good to ensure all of your micronutrient requirements are met. Once again, you should definitely check Kyle out at @huntfitness and www.KyleHuntFitness.com. Are you Ready to be in the Success Series?! Do you have a killer gym to feature? Is your personal trainer deserving of some love? We’ll let you write about them here!